Voting is Power 901 (VIP901) is a joint campaign between the NAACP Memphis Branch and the National Civil Rights Museum to increase knowledge about the voting process in Shelby County and the increase voter turnout during elections. The goal of this program is to empower communities of color throughout Memphis by not only connecting them to voter resources but also to connect them to their current political leadership and candidates running for office through forums and discussions. 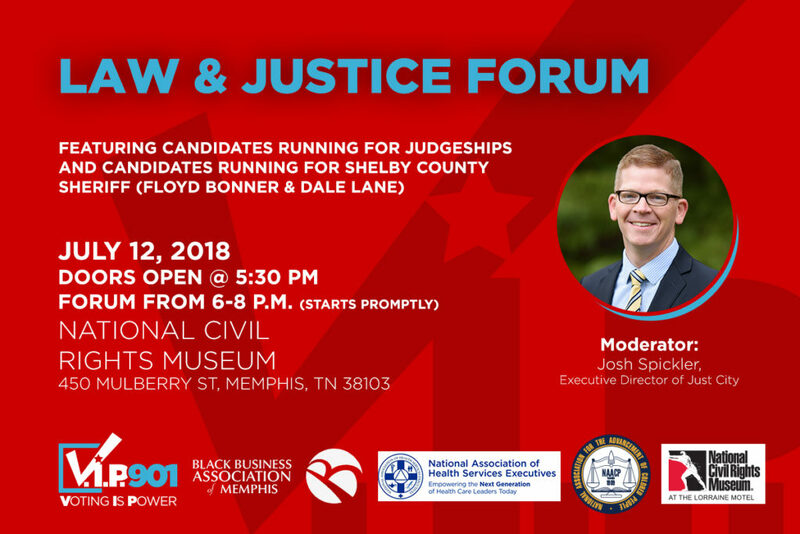 In 2018, VIP901 will hold several forums around the city to allow voters who express their concerns and ask questions of those running for office. The forums are free, child-friendly and from 6-8 p.m. on Tuesday or Thursday nights. All are welcome. For more information on voting visit https://www.shelbyvote.com/.